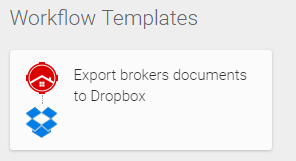 BrokerSumo is integrated with Dropbox to allow you to backup your agent documents and transaction documents to Dropbox. 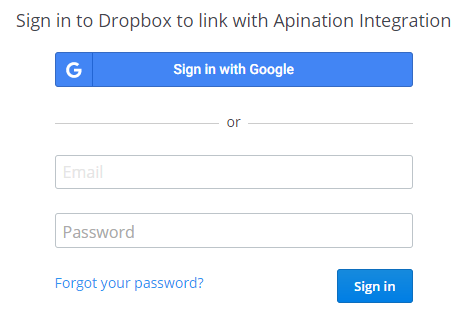 To add the integration click Settings > Integrations and click the Edit Dropbox button. First you'll need to connect your Dropbox account. Click the Accounts tab and click the plus button to connect to Dropbox. 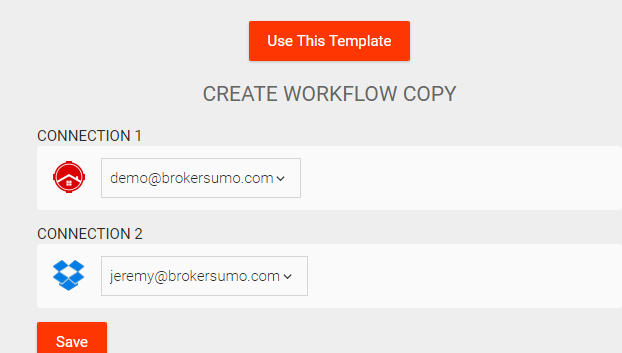 Next, you'll sign into your Dropbox account to connect BrokerSumo to Dropbox. Click on the template to set it up. On the next page, click the Use this Template button. You'll then see your connections, click Save once you confirm these are correct. On the next page, click the Run button and your workflow has been setup and connected. Now you can go into a document folder in an agents profile or in a transaction and you'll see check boxes next to each document name. Check the boxes of the documents you want to sync and click the Dropbox Sync button. Your agent documents will sync into a folder with the agents name and your transactions will sync into a folder with the transaction address and the close date. A new folder will automatically be created for you. If you sync additional documents in the future it will sync into the same folder that has already been created.